No doubt about it – this life will chew you up and spit you out from time to time. However, just because you go through struggles, does not mean you have to give up on life entirely. In fact, pushing through the pain will teach you valuable lessons, and show you that light always exists even in the darkest places. Feeling broken can make you feel like you have nowhere to turn, like you’ve hit rock bottom and you have no way out. 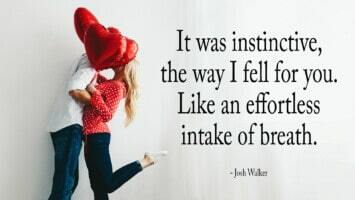 We’ve all been there, but don’t allow these feelings to take over your whole life. The pain won’t last forever, and on the other side of it, you’ll find more bliss than you could’ve ever imagined. We live in a world of duality, so of course we can’t feel whole and complete without knowing the despair and hopelessness of being broken. We all go through struggles in life – it’s inevitable. Think of how unsatisfying life would be without challenges, though. We would never grow and learn without going through hard times; we would simply walk around feeling stagnant and bored. Obstacles keep us on our toes, encourage us to change and continue to break through barriers, and not fall into a trap of comfort and complacency. Just because times seem tough now, does not mean they will remain this way for long. Just keep your eyes toward the sun, and you’ll eventually find that the shadows disappear behind you. Oftentimes when we feel broken, we tend to just fixate on everything wrong in our lives instead of everything going right. Even if you can only feel thankful for getting out of bed this morning, extending gratitude toward life helps more goodness flow your way. If you focus your attention on everything going badly, guess what? You will only attract more of the same. Countless studies have linked gratitude with better relationships, improved health, a more optimistic attitude about life, and much more. 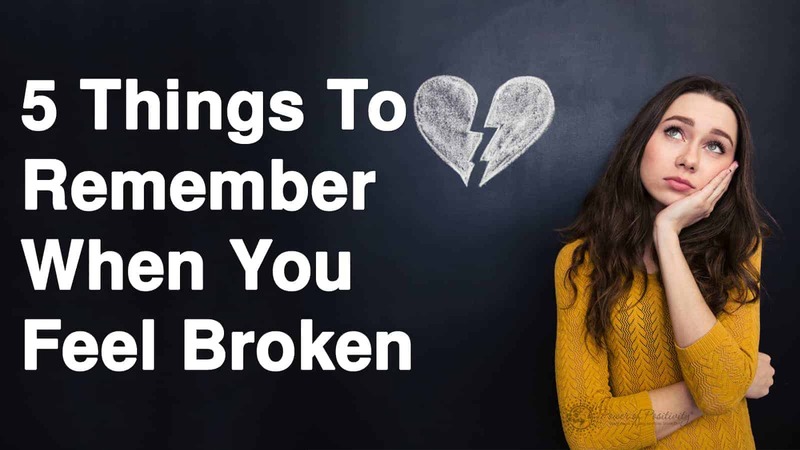 If you’d like to read more about things to keep in mind when you feel broken, read our related article here.